All hail emo Peter Parker. 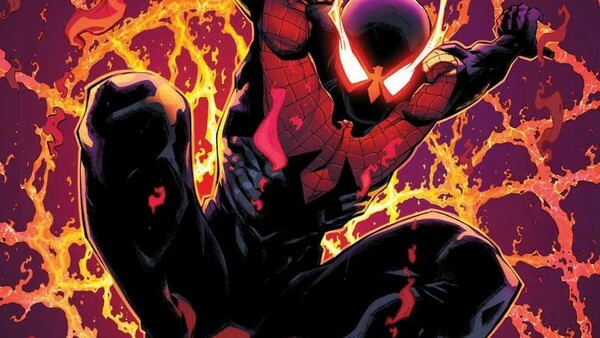 One of the most popular superheroes to ever grace comics, movies, TV and any other medium he's been crammed into, Spider-Man's popularity has pretty much been unwavering since his conception. Stan Lee and Steve Ditko's creation became a household name in record time, to the point where pretty much everyone knew the basics - the radioactive spider, Uncle Ben, the web-slinging - and had something of a soft spot for the web head. That cultural understanding has only deepened as time has worn on as well, as Spidey's bounced from one success story the next. He was the biggest name in the world in the early 2000s thanks to Sam Raimi's first two movies, and everything he touched turned into gold. It wasn't all smooth sailing, and there was the worry the wall crawler's time might have been up as a series of disappointing sequels and grittier DC heroes and the meteoric rise of the MCU threatened his relevancy, but a second reboot removed any lingering doubt. But popularity can breed confusion, and the image of the Friendly Neighbourhood Spider-Man that's been thrown around doesn't always line up with the character's actual history. That's to be expected, with the sheer amount of different Spider-Men to keep track of, across different universes and convoluted sagas that almost tanked entire companies, but it doesn't help setting the record straight on a few egregious misunderstandings.